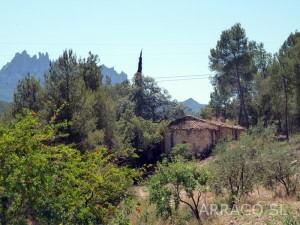 Sant Pere de Vilamarics is a little church near the mountain of Montserrat (Barcelona). Several excavation campaigns have been held there since 2013. Now we can explain its historical evolution, from the 10th century to nowadays. 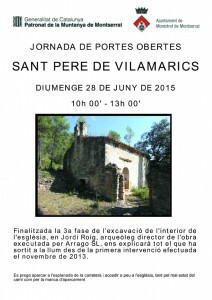 There will be a guided tour at Sant Pere de Vilamarics the next july 25th from 10 to 13 h.
Sant Pere de Vilamarics is between the villages of Castellbell i el Vilar and Marganell (near Manresa) and you can reach it from the road BV-1123 from Castellbell to Marganell, at Km 3,1. At this point there’s a small path that leads to the church through crop fields.